Zion Missionary Baptist Church’s history goes back to 1877, when the late Reverend Thomas Luke, pastor of the Old Greenwood Baptist Church of Greenwood, Louisiana, answered God’s call to assemble a congregation in the Shreveport community. That segment from Old Greenwood Baptist Church became the Galilee Baptist Church. gave birth to the Zion Missionary Baptist Church. The Reverend James R. Martin served as the first pastor and presided over the first worship service on Sunday, September 26, 1937 in the Lakeside Drug Auditorium with two hundred and twenty-eight worshippers present. Pastor Martin began to formally organize the church. 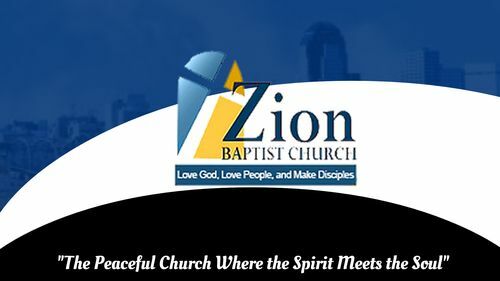 The name, Zion Baptist, was agreed upon after Pastor Martin said that, while sleeping, he had dreamed of hearing the hymn, “We’re Marching to Zion.” Pastor Martin led the congregation for four years and left on July 21, 1941. Reverend Tommy R. Durr was called to lead the congregation and began his tenure as pastor on December 21, 1941. The congregation broke ground at 1903 Milam Street on August 8, 1942 and on Monday, November 9 of that same year, they marched across the street from the drug store to their new church edifice. The two-week Dedication Service culminated on Sunday, November 15 when Dr. Caesar A. W. Clark preached the Dedication Sermon. Fourteen years later, Pastor Durr’s successor, Reverend George C. Wilson, was called to serve as Zion’s third pastor. During his two-year tenure, he organized the Christian Board of Education and the Youth Ministry. been started, many souls have been won, and many bridges have been crossed.